Oats are a highly nutritious grain with many health benefits. However, there is a lot of confusion about whether oats and oatmeal contain gluten. Oats are naturally gluten-free, but often get contaminated with gluten from other grains. This article explores whether you should include oats in a gluten-free diet. Gluten-free diets are very popular. In fact, surveys have found that as many as 15 to 30% of people in the US try to avoid gluten for one reason or another. However, many of those who avoid gluten don’t even really know what it is. Gluten is a family of proteins found in grains such as wheat, rye and barley. These proteins give bread and pasta their stretchy, chewy texture (1, 2, 3, 4). Unfortunately, these proteins can cause serious health problems for certain people. For some, gluten can be a tricky protein to digest. This may be because its unique amino acid structure can actually make it harder for the digestive enzymes in the gut to break it down (1, 2, 3, 4). If you have celiac disease, your body launches an autoimmune response to gluten, damaging the lining of the intestine. In wheat allergy, the immune system overreacts to the presence of wheat proteins (5). It should be noted that most people can eat gluten without any problems. Yet for those sensitive to gluten, even a tiny amount can make them sick. A gluten-free diet is the only way for these people to avoid serious health issues (5, 6, 7, 8). For more details about the protein gluten, read this article. Bottom Line: Gluten is a protein found in wheat, barley and rye. Most people can tolerate it, but it can cause serious health issues for some individuals. The truth is that pure oats are gluten-free and safe for most people with gluten intolerance. However, oats are often contaminated with gluten because they may be processed in the same facilities as gluten-containing grains like wheat, rye and barley. Studies show that most people with celiac disease or wheat allergy can eat 50–100 grams of pure oats per day without adverse effects (9, 10, 11, 12, 13). One study followed 106 celiac disease patients for 8 years. More than half of the participants ate oats daily, and none experienced negative effects (10, 14). Additionally, a few studies found that celiac disease patients in countries that recommended including oats in a gluten-free diet had better intestinal healing than patients in countries that did not (10, 15). Since pure oats are gluten-free, they’re usually safe for people with a wheat allergy as long as they’re not contaminated with wheat. Bottom Line: Most people who are gluten intolerant can safely eat pure oats. This includes people with celiac disease. Although oats themselves don’t contain gluten, they’re often grown alongside other crops. The same equipment is typically used to harvest crops in neighboring fields, which leads to cross-contamination if one of those crops contains gluten. Products made with oats are also usually processed in the same facilities as gluten-containing products, and are prepared and packaged with the same equipment. Therefore, it’s not surprising that studies analyzing regular oat products found levels of gluten far exceeding the standard for gluten-free foods (16, 17, 18). One study analyzed 109 oat-containing products on the market in the US, Canada and Europe. It found the products contained over 200 parts per million (ppm) of gluten, on average (16, 19). That may not sound like a lot, but just 20 ppm of gluten may be enough to cause a reaction in someone with celiac disease (16). This high risk of contamination means it’s not safe to include conventionally grown and processed oats in a strict gluten-free diet. For this reason, a number of companies have begun to grow and process oats with designated gluten-free fields and equipment. These oats can then be marketed as gluten-free, and must contain less than 20 ppm of gluten (20, 21). Unfortunately, even gluten-free labels may not be 100% reliable. One study found that only 95% of products labeled gluten-free actually had safe levels. However, 100% of the oat products passed the test. This means that certified gluten-free labels on oats and oatmeal can be trusted in most cases (16, 22). Bottom Line: Oats are often contaminated with gluten during growing or processing, but many companies are now producing uncontaminated oats. Even with contamination ruled out, a small number of people with celiac disease (and possibly other conditions) will still not be able to tolerate pure oats. Pure oats contain a protein called avenin, which may cause problems because it has a similar amino acid structure as gluten. The majority of people who are sensitive to gluten do not react to avenin. They can eat pure, uncontaminated oats with no problems (23). However, a small percentage of people with celiac disease may react to avenin. For these few people, even certified gluten-free oats may cause some reaction (16, 24). One study investigating celiac disease and oat consumption found that most people had the potential to react to avenin. However, only 8% of the participants had an actual response after consuming a large amount of oats (25). In those cases, the response was small and did not cause clinical symptoms or relapse. Therefore, the researchers concluded that it was still safe for those patients to consume up to 100 grams of pure oats per day (25). Additionally, two other small studies found that some people with celiac disease experienced a small immune response and more intestinal symptoms when consuming oats, compared to those on a traditional gluten-free diet (26, 27). Despite these effects, none of the people in these studies experienced any intestinal damage from oats (26, 27). Bottom Line: Oats contain a protein called avenin. A small percentage of people with celiac disease react to avenin and can’t tolerate pure oats. Gluten-free diets are often limited when it comes to food choices, especially with grains and starchy foods. Including oats and products like oatmeal or healthy granola bars can add much-needed variety. Several studies have also shown that following a gluten-free diet frequently results in an inadequate intake of fiber, B vitamins, folate and minerals such as iron, magnesium, selenium, manganese and zinc (10, 28, 29, 30). Oats happen to be a good source of all of these vitamins and minerals. They’re also a fantastic source of fiber. 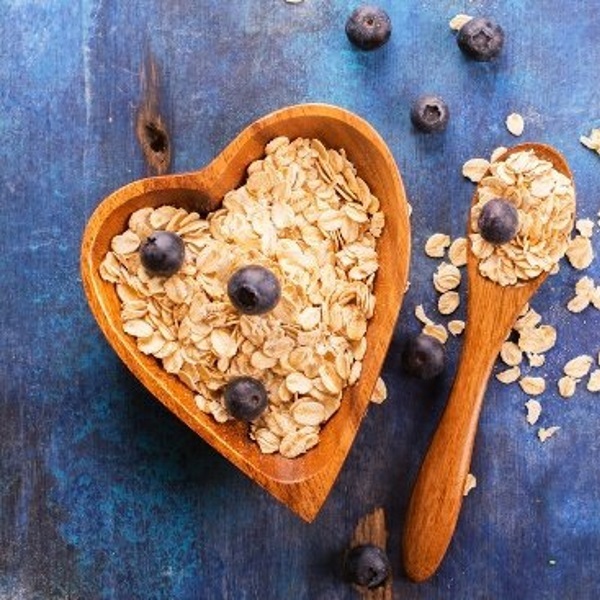 Heart disease: Oats can help improve risk factors for heart disease, such as lowering “bad” LDL-cholesterol and raising “good” HDL-cholesterol (31). Weight loss: Oats and oatmeal can aid in weight loss by helping to control appetite and increase fullness (32, 33, 34). Diabetes: Oats can help improve blood sugar control, blood fat levels and insulin sensitivity for people with type 2 diabetes (35). Bottom Line: Oats are a good source of many nutrients that are lacking in a gluten-free diet. They can also add variety and provide health benefits. Should You Include Oats in a Gluten-Free Diet? There are many benefits to including oats in a gluten-free diet. However, it’s important to buy only oats and oat products that are labeled or certified as gluten-free. This ensures the oats are pure and uncontaminated. In the US and Europe, products with this label are required to have less than 20 ppm (mg/kg) of gluten, an amount so low that it is generally considered to be safe (20, 21). These days, it’s easy to buy pure oats in many grocery stores and online. Good brands to look for include Bob’s Red Mill and Glutenfreeda, which are both independently tested for gluten contamination. The decision to include oats should be made on an individual basis. Since it’s not possible to know who may react to avenin, it’s a good idea to talk to your doctor or registered dietitian/nutritionist before adding oats to a gluten-free diet. However, the vast majority of people can safely enjoy oats and all of the delicious foods made with them.